AUSTIN, TX (BRAIN)—Don Walker’s latest North American Handmade Bicycle Show (NAHBS) was a huge success. Not only did exhibitors grow 28 percent to 174 this year, but also attendance eclipsed the 2008 Portland show with 7,316 people paying to get into Austin. 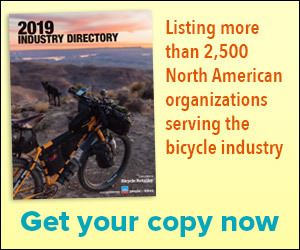 SPEEDWAY, IN (BRAIN)—The North American Handmade Bicycle Show (NAHBS) is launching its “Original Six” 2009 promotional campaign, highlighting a select group of frame builders that have exhibited every year since the show began five years ago.